I love new perspectives and interpretations on ancient stories. Specifically the ones you may hear in a house of worship. Two Sundays ago we heard the story of the three kings and their visit to Bethlehem. These astrologers believed in the messages from the heavens and the story goes that they followed one particular star all the way to the birthplace of Jesus. Their journey was loosely reenacted during a portion of the service with the ‘kings’ passing paper stars out to us. Each of these had a word on the back and were selected at random; we didn’t know what we got until after we picked a star. Our task was to keep this word with us for the rest of the year and look for moments when we may need it or even use it. My word was ‘boldness’. For those who know and love me it’s a word that suits me and one that may not stretch or make me uncomfortable in any way (like a pastor receiving the word “faith”). I am a woman who is never afraid to stand up for herself-the strong feminine and feminist figure forthright in the face of unfairness and injustice. Yep. That’s me! So this word, this word. What am I to do with it? How will I use it in a new way? Am I already doing it? Since the publication and reblog of my post On Being a Bold Woman, I decided to contemplate and maybe redefine (at least for me) what it means to be bold. Now, I know the year is young but it doesn’t hurt to at least begin to examine alternate avenues of how it can help me as I move forward into a new life in June. Shortly after receiving this word, Steve (a fellow parishioner) stated that he felt that it took great courage to up and move myself to a whole new place especially after spending my entire life in this region (now that would be nearly 54 years!). Yeah, yeah. True. True. I am heart and soul a New England girl. Give me hills, mountains nearby, the brisk Atlantic waters and the big white church in the center of town. A place where practically everyone knows your name. There is a lot to be said for that feeling. I will miss all of it. But there comes a time in your life where you have to shake things up. Make a change just for yourself. Small town life can be stifling at times. And things happen where you could feel like a stranger in your own neighborhood. Signals for a change for sure. Moreover, I spent years needing to be outwardly bold -what with standing up to my ex-husband who attempted to leave me destitute and without shelter. Who, at every turn neglected his financial and emotional responsibilities as a father. Yeah, yeah he is a broken man but he needs to help himself now. No longer my problem. I purposefully carved out a new life for myself and my sons throughout it all. It was not easy and at times truly sucked. But here we are!! The life that was created simply planted the seeds for new growth for each of us. Maybe this new boldness is a sleeping giant. The big steps may not need to be taken quite yet. In the meantime, perhaps I can rest. Conserve my energy as I prepare to venture into the next wild phase of my life ( oh yes, I do expect it to be!). In so doing, perhaps I can reshape my definition of a bold woman. In fact, I have already begun. A bold woman does the best she can. A bold woman asks for help. She knows not EVERYTHING can be done alone. A bold woman keeps it simple. She does not create or allow for drama in her life. A bold woman lets things unfold. She is wise enough not to maintain control all the time. A bold woman rids herself of unnecessary things. She creates wide open spaces and room to breath. A bold woman does not engage in negative thinking. She knows it weighs her down. A bold woman keeps moving forward even when obstacles are placed in her path. She stays strong. A bold woman stays present. She knows each moment is precious and rich with positive potential. 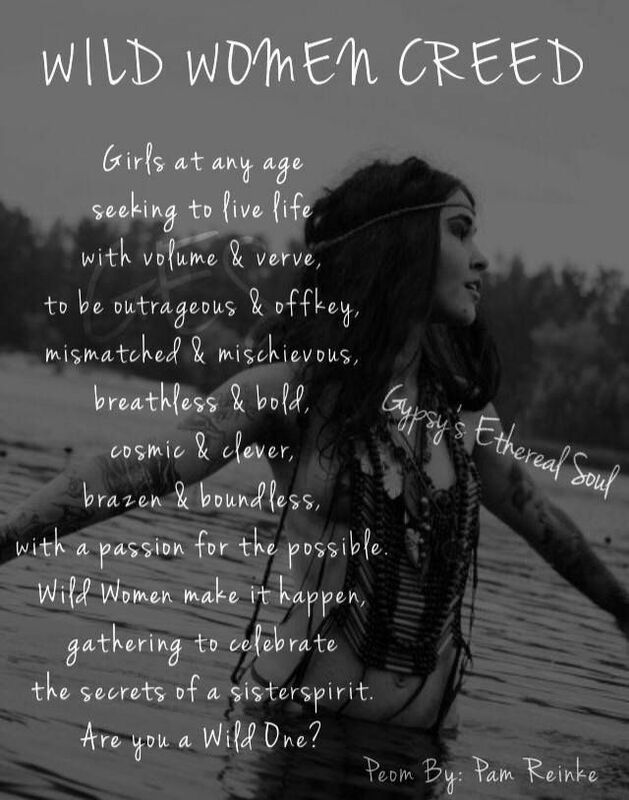 A bold woman always offers up to the Universe her highest wishes for the best possible outcome. In doing so, she dreams BIG! So dear readers, what do you think? If I may be so bold? A bold women never stops asking questions unless it is to hear an answer. Love it! A sign of persistence and perseverance. Comes from a deeper understanding of my life thus far. Love this boldness…it is a day by day process for me…some days I am bolder than others. I think true bravery is continuing in the face of adversity, no matter how tiny the steps. And LOVE LOVE the “asking questions” portion. We are NEVER as alone as it may seem at times! I absolutely agree about bravery in the face of adversity. In truth, the steps are usually small and even unseen. I’m THRILLED YOU LIKE THE ASKING QUESTIONS PART!